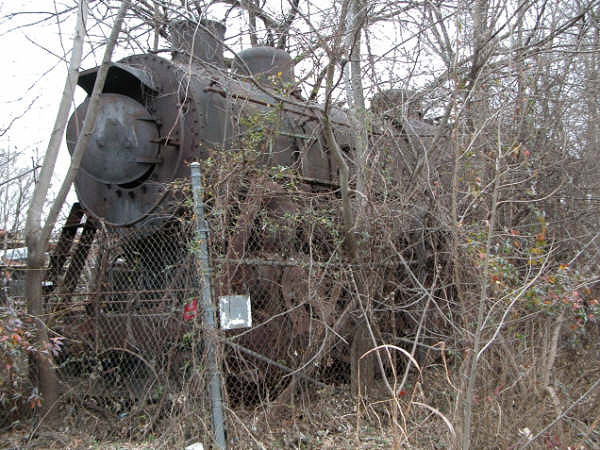 UPDATE August 2009: N&W 1134 was removed from the scrapyard on August 24, 2009 and delivered to the 9th Street yard of the Roanoke Chapter, NRHS for cosmetic restoration. 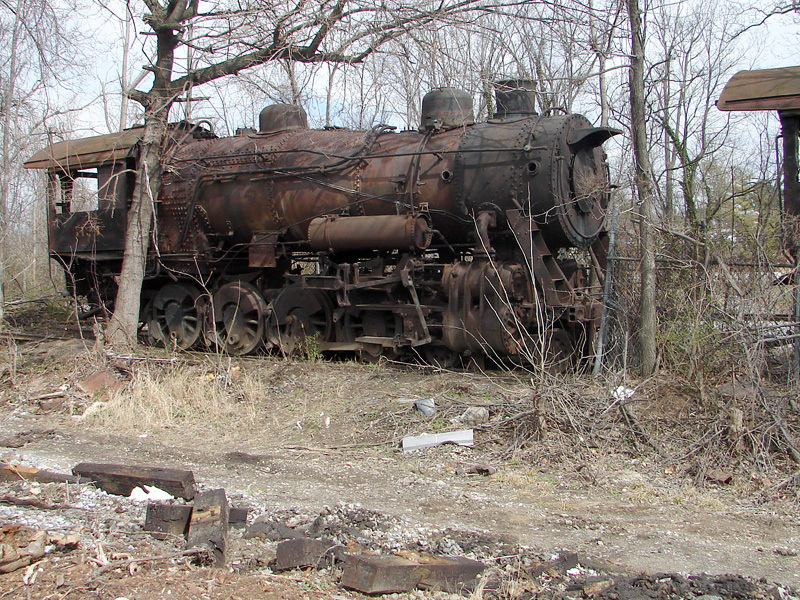 She will be delivered to her new home at the Railroad Museum of Virginia in Portsmouth, VA in the spring of 2010. At first glance, 1134 appears to be in slightly better shape than 1118. 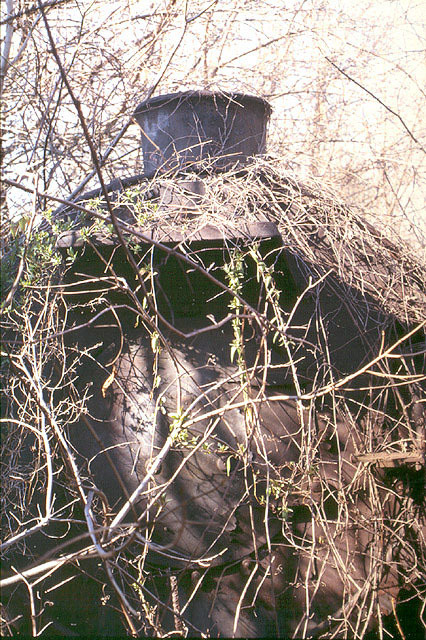 Most notably, she still has her smokestack, unlike either 1118 or 1151, and her smokebox interior appears to be completely intact. 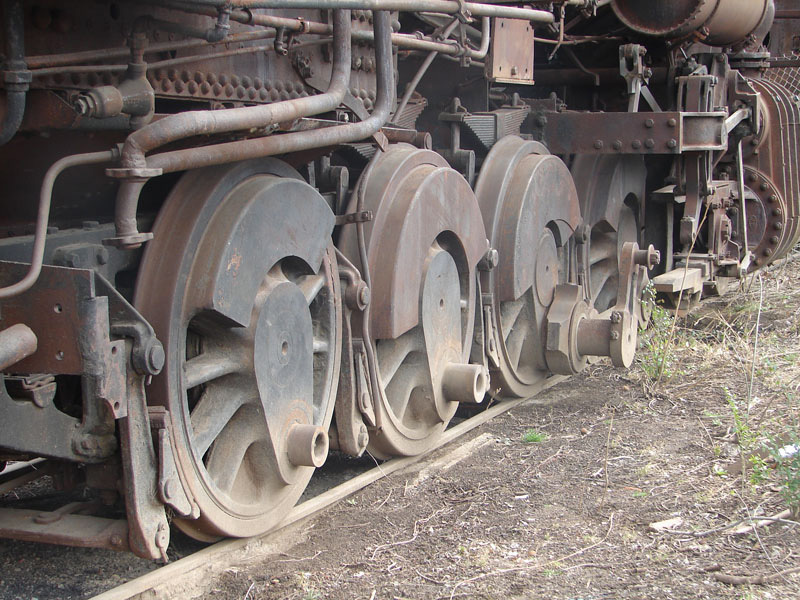 However, she is missing her connecting rods and eccentric rods on both sides, and the coupling rods between the rear three drivers on the engineer's side. 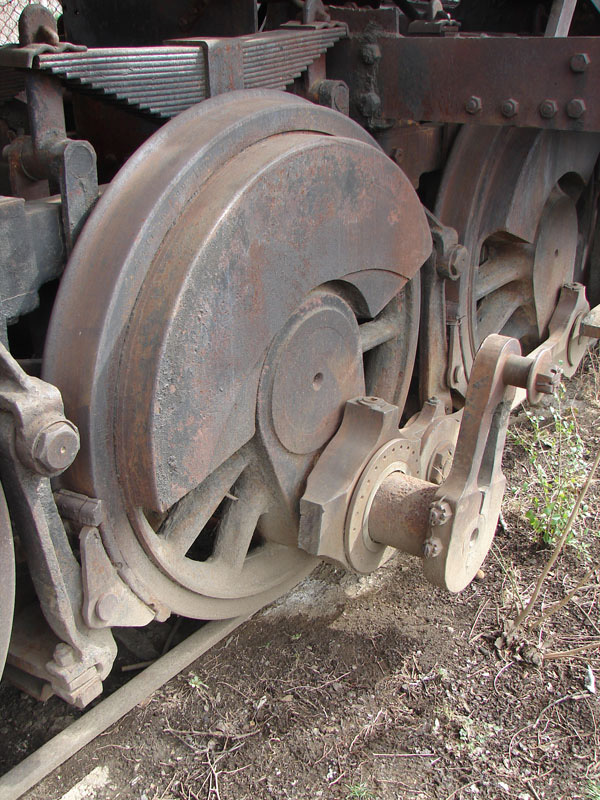 The coupling rod appears to have been broken or cut just aft of the main (no. 2) driver crank pin. 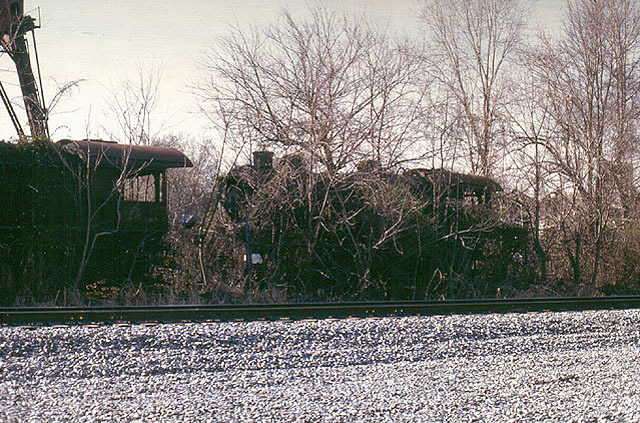 Her running boards were also removed, unlike the other engines. A first look at the engineer's side of no. 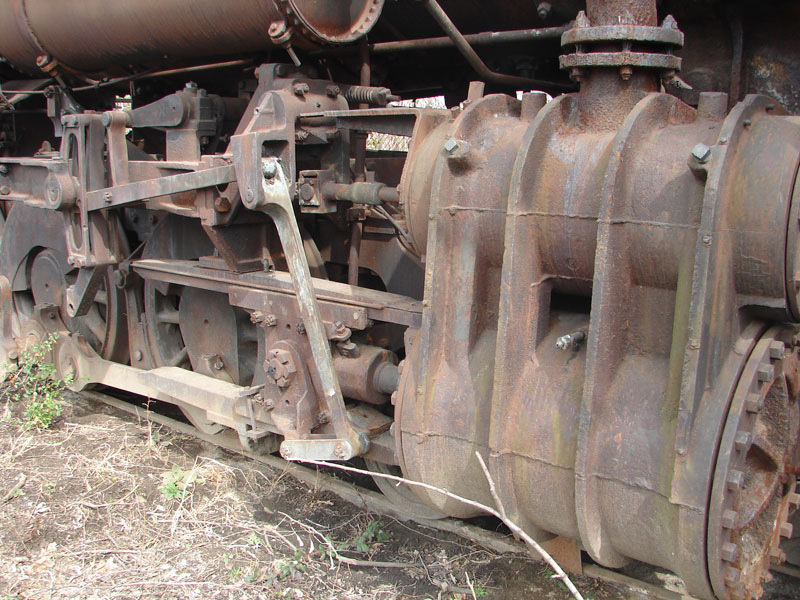 1134 reveals she is missing her connecting rod, eccentric rod, and coupling rods between the last 3 drivers on this side. 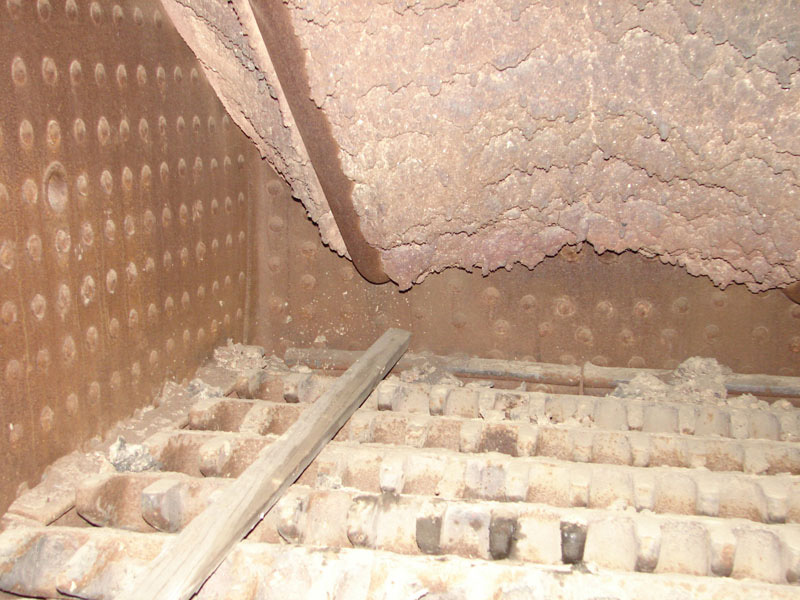 A look inside 1134's smokebox, with spark arrester screens still in place. 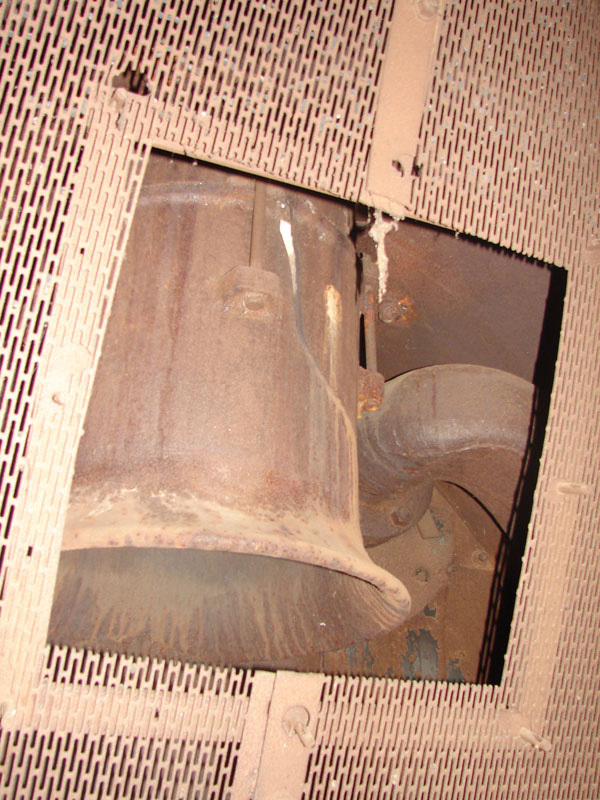 There is a large crack in the petticoat pipe, visible in this photo. 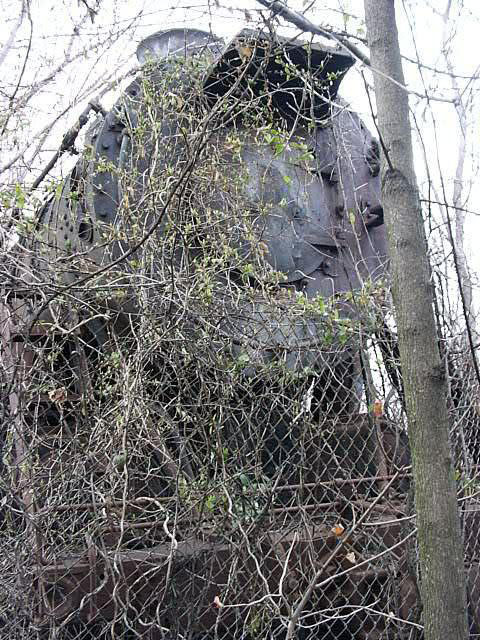 The view along the fireman's side of 1134's boiler. 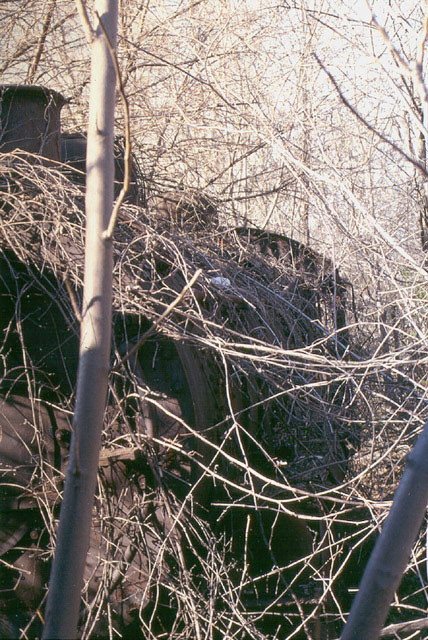 Her running boards have been removed, but most of the parts are on the ground nearby. 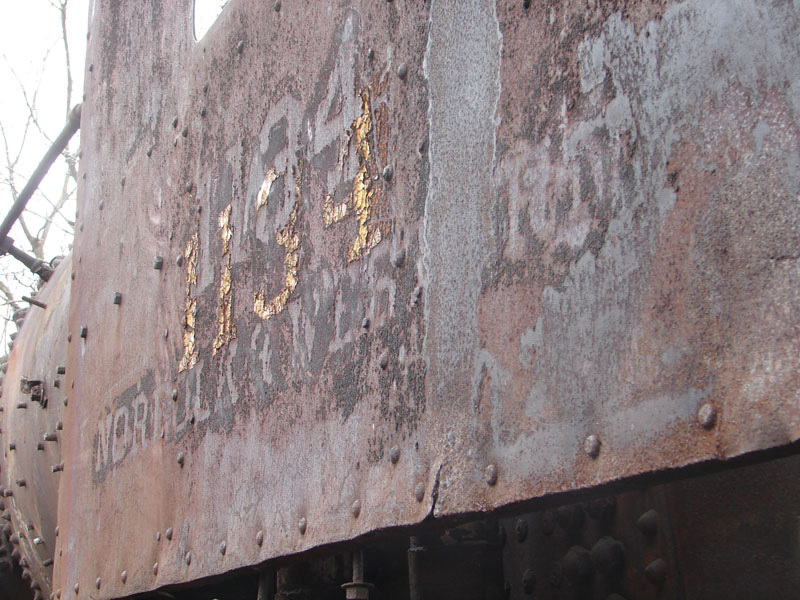 Close-up view of 1134's cylinder saddle. 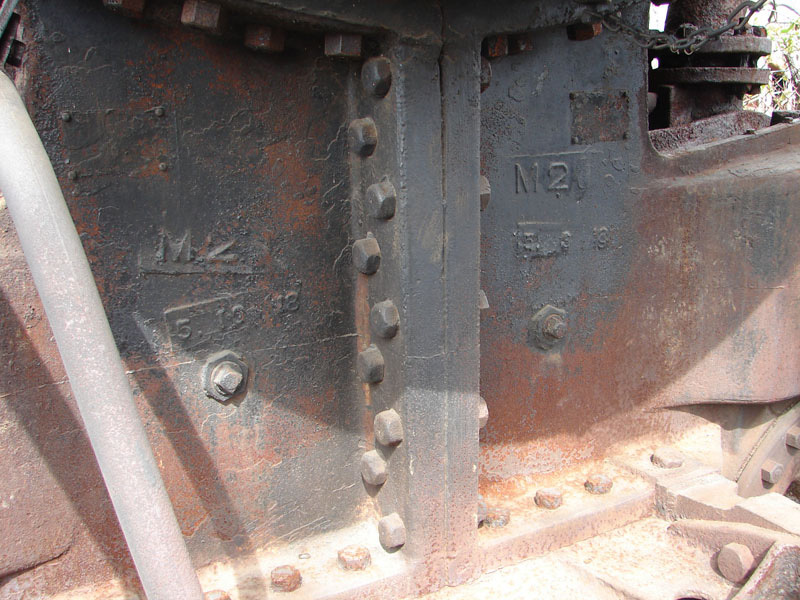 According to the dates on the cylinder castings, she received new cylinders in 1918, after only 8 years of service. 1134's main driver on the engineer's side. 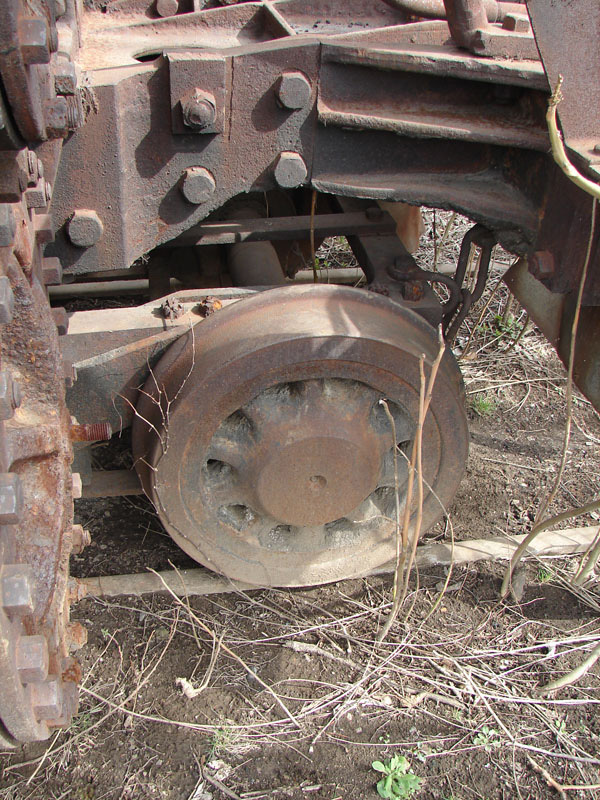 The coupling rod between this and the no. 3 driver has been cut or broken off. 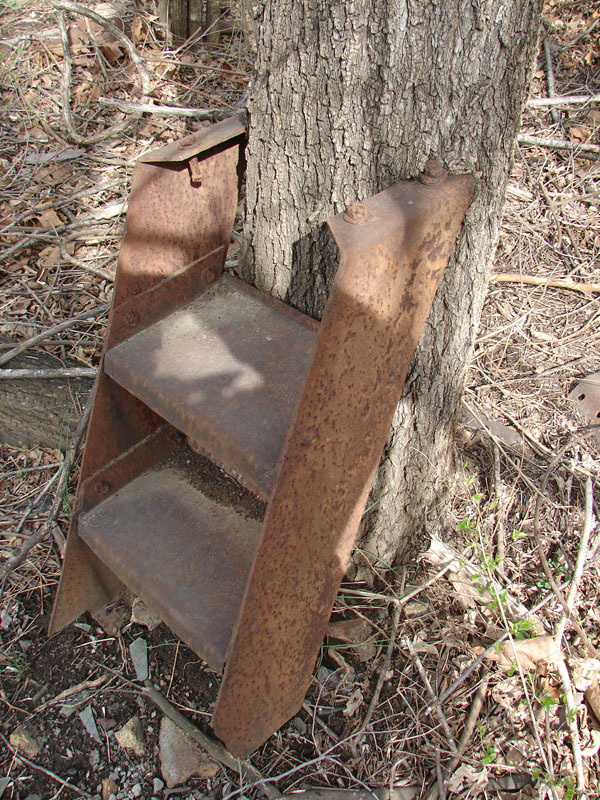 These steps may have come from 1134 or another engine. They are slowly becoming embedded into a nearby tree. A January, 2005 view of no. 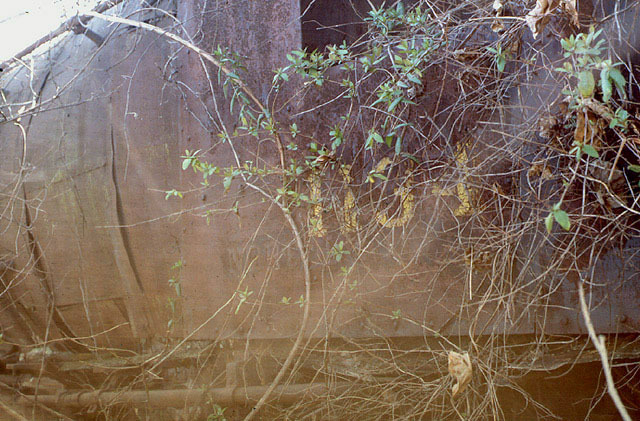 1134 shows that most of the vines have been cleared from her smokebox front, and somebody has apparently taken a look inside, leaving the door open. 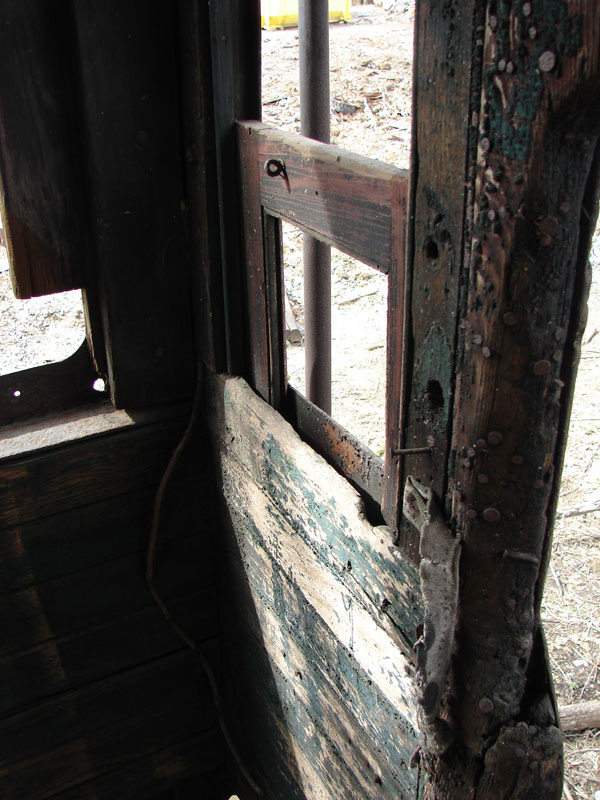 A look at the cabside number of no. 1134. 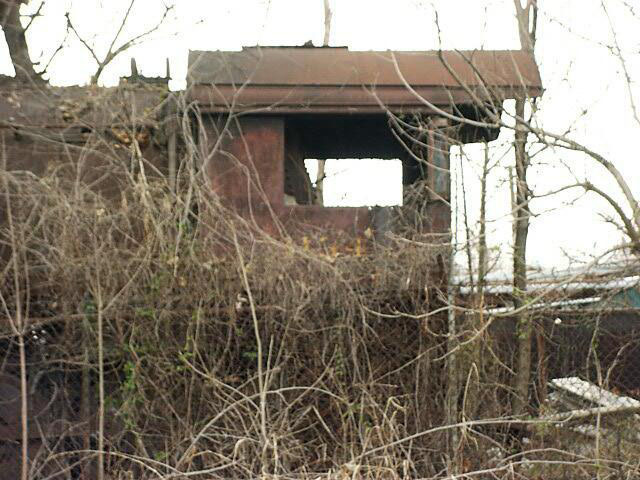 Clearly in need of a haircut, a close-up of 1134's smokebox front. 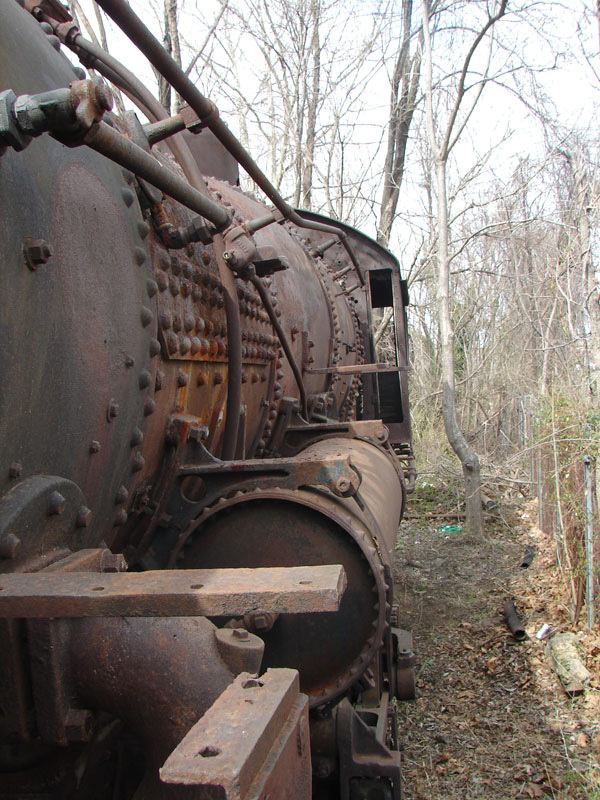 Looking along the fireman's side of 1134's boiler. 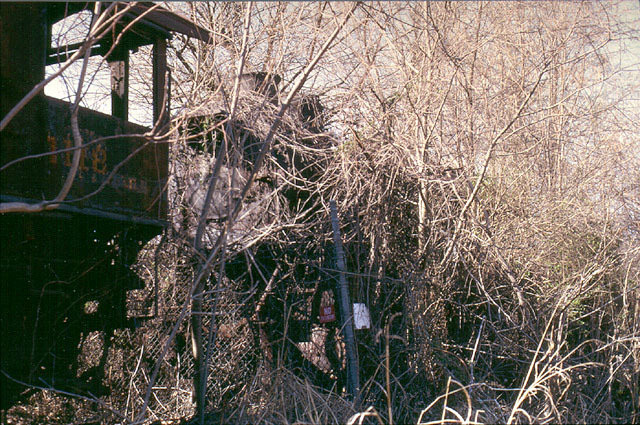 The scrapyard fence crosses the siding between 1118 and 1134. 3/4 front shot of 1134 with 1118 to the left. A large gap separates 1134 from 1151 behind her.